After numerous trial-and-error, Sharp has created a near-perfected model. Similar in form and function to the Sharp AL-1642CS and the 1641CS MFPs; the Sharp AL-1655CS is also cost-effective. The flexibility and expandability of the 1655CS is designed to give you a "bang" for your buck. Small offices benefit from the use of 1644CS. The MFP is priced between $600-$1200, not including the rebate retailers offer. The copier employs the use of a monochrome laser for tasks. The MFP is 20.4 inches in width, 19.8 inches in depth, 18.5 inches in height, and weighs approximately 50 pounds; this makes it ideal for small office settings and the home office. The copy-rate is roughly 16 pages per minute; the first copy will take about 10 seconds to print out. The maximum document enlargement is 400%, and the maximum document reduction is 25%. The exposure controls can be set for manual or automatic. Automatic duplexing, extremely popular and recommended, is available in the Sharp AL-1655CS. The language of the printer is a host-based JBIG compression. The maximum print resolution is 600 x 600 dots per inch with a relatively fast 16 page per minute print-rate. The scan feature has an optical resolution of 600 x 1200 dots per inch and an interpolated resolution of 2400 x 2400 dots per inch. In contrast to the other models, the max size for original documents are 8.5 x 14 inches and a minimum size of 3.5 x 5.5 inches. The media handling of the printer relies mainly on standard sheets and books. Other supported media types are transparencies, plain-paper, envelopes, and labels. The standard capacity for media handling is 250 sheets with a bypass feeder capacity of 50 sheets. The automatic document feeder can handle up to 30 sheets. Unlike the Sharp AL-1642CS, and the 1641CS MFPs, the Sharp AL- 1655CS facilitates PC connectivity with Ethernet 10 Base-T and High-Speed USB. Windows 2000, Windows XP, Windows ME, and Windows 98 will support the application of the MFP. One can scan a document and print the scanned document many times; the scanner utilizes color. The SharpDesk 2.7 scanner software offers document management features with OCR. The gradation in the documents for the scan feature is up to 256 levels. When previewing the document to be printed or copied, users can adjust the margin. The electronic sorting feature allows scanned documents to be sorted and copied in order. The offset stacking feature separates various copy sets and offsets them easy handling and separation. The network interface utilizes connectivity with an Ethernet port. The network-ability allows the home or office computers to be networked to the MFP. 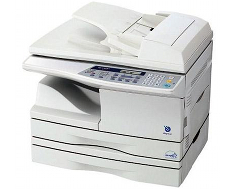 The duplex printer/copier is relatively hands-free with two-sided copying and printing. The warranty for the printer is established three years for replacement parts and one year for exchanges. While the Sharp AL- 1655CS is network-capable, the Ethernet connection only works for print jobs. Most businesses require the use of more than the print function to be integrated in their networks. The Sharp AL-1644CS has a few high-end features, but could use more than it currently offers. Unfortunately, the printer does not provide fax features, and color capabilities in prints and copies. If the printer uses the maximum power consumption of 1,000 watts, it will be manifest in the electric bill. The TWAIN feature is available but only with Windows XP. It is not clear whether the MFP will work with non windows-based operating systems. Review it: "Sharp AL-1655CS "
Prices for toners and drums will vary from retailer to retailer. 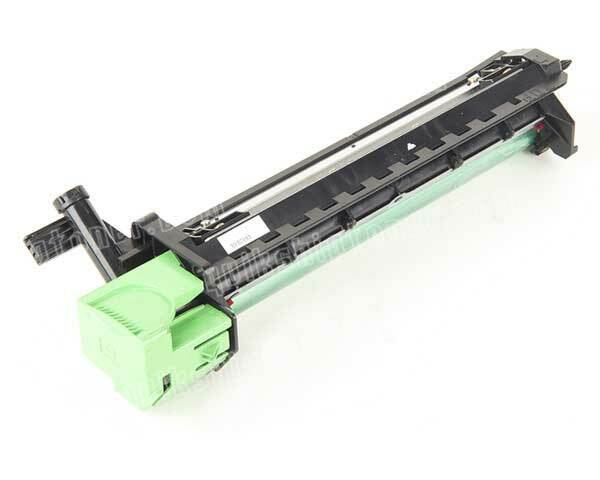 The AL-110TD toner, included in the package, yields 4,000 pages. The AL-100DR drum, included in the package, yields 18,000 pages. 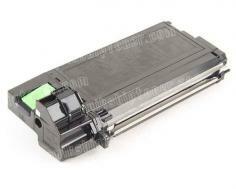 The genuine Sharp AL-1655CS toner cartridge will yield 6,000 pages. The high-yield toner cartridge will yield 8,500 prints while a genuine drum cartridge will yield 18,000 pages.